Did you know that in 2014, Illinois ranked fifth in the number of summertime drowning incidents reported by the media? Tragically, with 11 drowning deaths last year we ranked higher than even Florida and only one behind New York State, both of which have a MUCH higher population than we do. 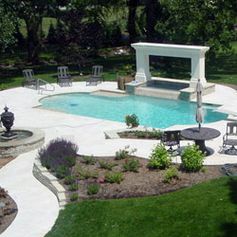 At Barrington Pools, we strive to make sure that we not only deliver the best swimming pool design and build experience for our customers but that we do our best help our customers enjoy their pools safely. Because of this, we are taking a few moments to share pool safety tips with our customers in Illinois, Indiana, Wisconsin, and Iowa. We are also available for media interviews to discuss this in more detail. This is probably the easiest and clearly the most important first step for anyone who has a pool where children will be present. It’s as easy as sitting down with the family before the opening of your pool each year and discussing how to enjoy the pool safely. Your family can certainly add or modify rules from this list, but the takeaway here is that it is critical for children to understand boundaries and what they are allowed to do and what they can’t do. Over the winter, the ground may have shifted due to freezing and thawing of the ground. Because of this, it is important for you to do a review of both your fence as well as gates to ensure that they still close and lock properly. This will help prevent kids from entering unsupervised as well as pets and other “uninvited” animals who might enjoy taking a dip in the hot weather too! Just like your fence, your automatic pool covers may need to be checked as well. If you notice any rips, tears, or abnormal noises as it extends / retracts please call us so we can fix it for you. After all, if your pool cover isn’t working then it can’t keep your pool free of debris or prevent people from falling in. 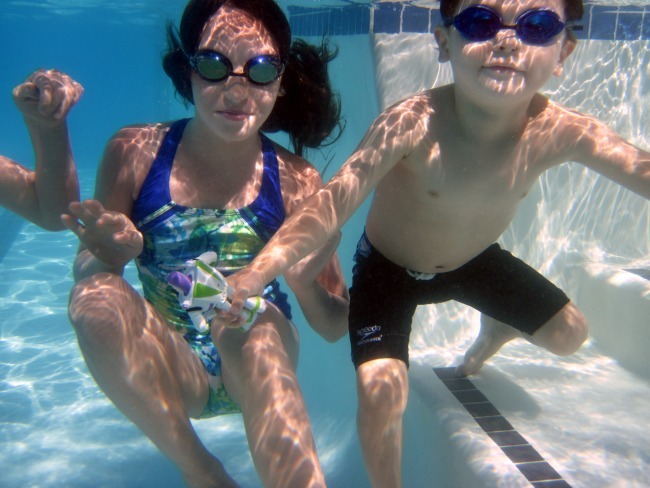 If you have a pool, it’s a must that your kids have swim lessons. Even though it may take until 6 or 7 years of age to become competent swimmers in the traditional sense, infantas as young as six months can learn how to roll over and float safely. 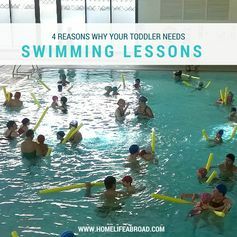 These swim lessons are also important for adults too. Most instructors will also take this time to help parents better identify hazards and be more aware of noises and sounds that could indicate danger. There’s no exact age for where it’s ok to swim alone. However, as a good rule of thumb, if your kids are living at home then it’s important to make sure they are supervised when playing in and around the pool. While swim lessons are designed to help mitigate risk for something happening, it’s also important to make sure that you have the proper training should something occur. Make sure that you have a well stocked First Aid kit handy and that the adult supervising has training in both CPR and basic First Aid to be able to take care of cuts, sprains, and bruises but also identify when something needs the next level of care. Additionally, make sure that emergency numbers are also clearly marked inside the First Aid kit. 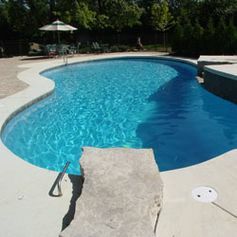 Pool safety isn’t just about water, it’s also important to check the pool deck itself for tiles that may present danger due to worn anti-slip surface, loose bricks, or other obstacles that someone could trip over. Additionally, make sure that any hoses, ropes, nets, toys and cleaning equipment are safely stored to prevent accidents. Children love to hide in places. 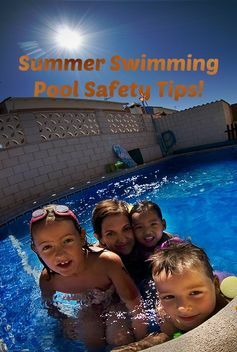 While the swimming pool itself presents the largest danger of drowning or accidental death it is important to not ignore other areas as well. Steam Showers and Saunas in particular, present a danger if they are not properly closed and or locked because of the extreme heat and since children can enter but may not be able to exit properly. There is nothing wrong with entertaining around your pool and responsibly enjoying adult beverages. However, the consumption of alcohol does inhibit the decision making process and makes accidents more likely. Because of this, it might be a good idea to make sure that someone with First Aid and Lifesaving Skills remains sober to assist in the event that there is an accident. Working Together to Improve Pool Safety in Illinois! Unfortunately, we can’t eliminate pool and swimming accidents entirely. However, it is our objective to ensure the highest construction quality of maintenance standards as well as working with each of our owners to ensure safe and healthy operation of their swimming pool. However, we want to do more. That’s why we are reaching out beyond those elements that are in our control to help our owners have the safest and most enjoyable experience possible. Your family is our family and we want to keep everyone happy and healthy this year and beyond! 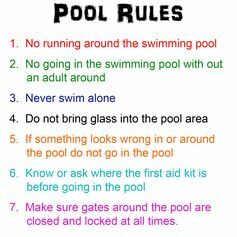 If you follow the pool safety advice above then together we can continue to reduce these tragic instances. If you have any questions or are looking for an expert source to speak about keeping your family safe so they can enjoy the pool this summer, please let us know.